My hardcover and well-read copy of JOHNNY GT HIS GUN, the book that started it all. First and foremost is the fact that it fit the theme of Lee Marvin’s life, work and legacy. Just as important is the fact that Trumbo was, is, and will always reman my favorite writer of all time. As a matter of fact, when I was able to land my first professional writing job in the late 1980s on a local newspaper in New Jersey, my then bulky Mac office computer boasted only one image on the side of its screen…. 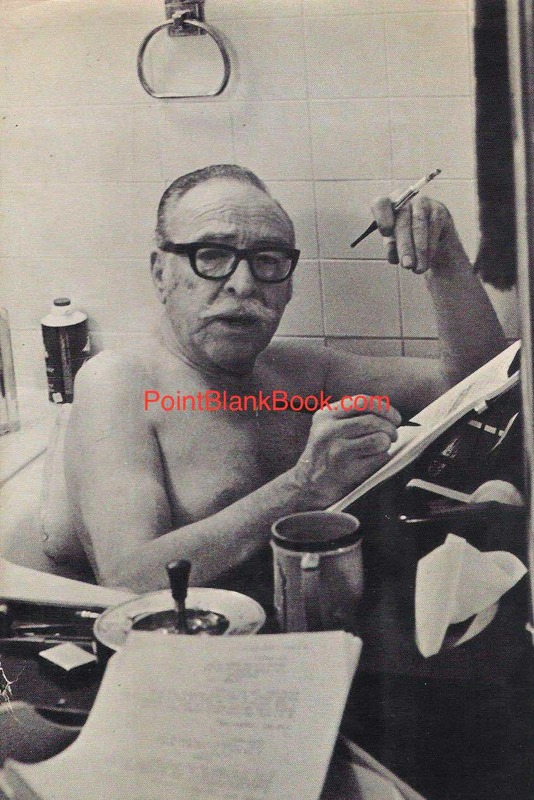 The image that adorned the side of my Mac in the 1980s depicted Dalton Trumbo hard at work. Like most writers, I have both classic favorites (Jack London, Mark Twain) as well as contemporary ones (William Goldman, Richard Price). All choices are based both on subject matter as well as style. For me, Dalton Trumbo remains neck-creakingly high in both categories. Why? No other writer has ever come close to achieving his level of haunting, simple prose. In my opinion, it’s an amazing accomplishment. I read Johnny Got His Gun as a freshman in high school. Read it again as an adult. I’ve read it several times since in the intervening years and it just gets better and better every time! Explaining the premise of the book to anyone has often resulted in being told that it sounds too depressing to read. On the contrary. Granted the premise is quite dark: In the waning days of WWI, Joe Bonham becomes the ultimate victim of war as a bomb leaves him without limbs, face, or the use of any his five senses other than touch. However, his struggle to reconnect with the outside world, flashbacks of his life before the war (both comical and poignant) and the ultimate resolution of his plight, makes for a book more than just depressing but an amazing exploration of the human condition. It goes without saying that I highly recommend it, if just for the spare and powerful writing alone. When I was working as managing editor for a multi-educational and distribution book company, I suggested putting it in our catalog. The company owner, Mike Miller, was reticent but agreed on the condition that at least one order had to be placed for it to remain in the catalog each year. Interestingly enough, in the seven years I worked there, and titles were to be either added or removed, there was always at least one wise teacher somewhere in the country smart enough to order a copy for their class or library. Luckily, the heavy metal band Metallica also managed to keep it the minds of their fans by buying the rights and recording the song “One” in homage to the book, with a music video incorporating scenes from the 1970 film directed by (ad costarring) Dalton Trumbo. 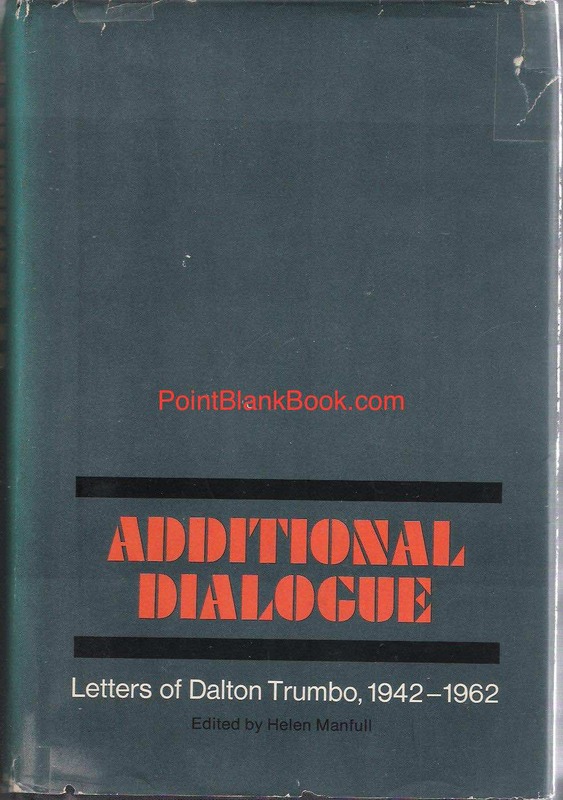 In these days of rising international tensions and U.S. wars now stretching into decades, the book is clearly now more relevant than ever. 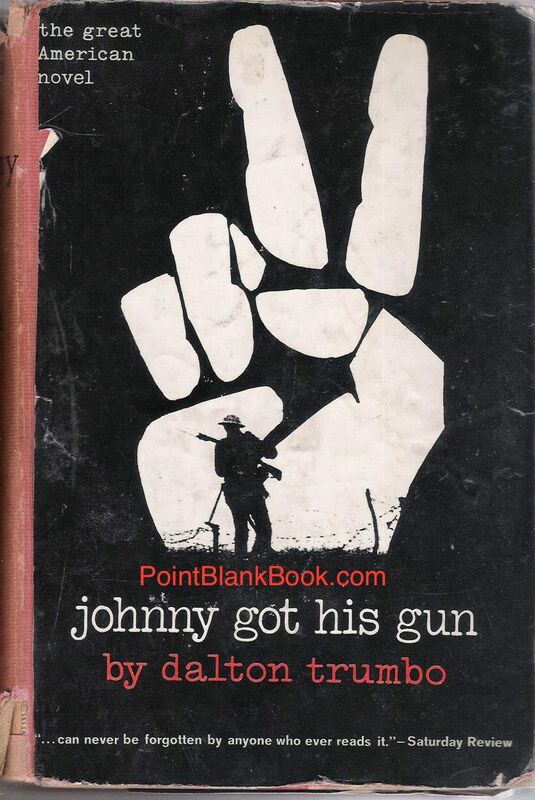 It might not be a popular consideration but when high school and college students are required to read certain titles before going out into the world, Johnny Got His Gun should be at the top of the list. It just might help end those international tensions and decades long wars. It might not. Certainly worth a try as at the very least a classic anti-war novel will be consumed and kept alive for the next generation. I wonder if Lee Marvin ever read it. 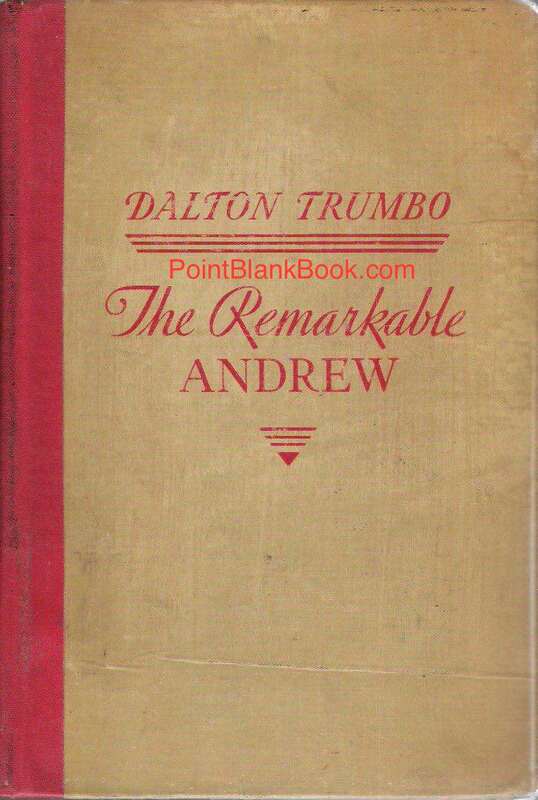 One of Trumbo’s first books, later turned into a film starring a young William Holden as small town accountant helped by the spirit of Andrew Jackson. 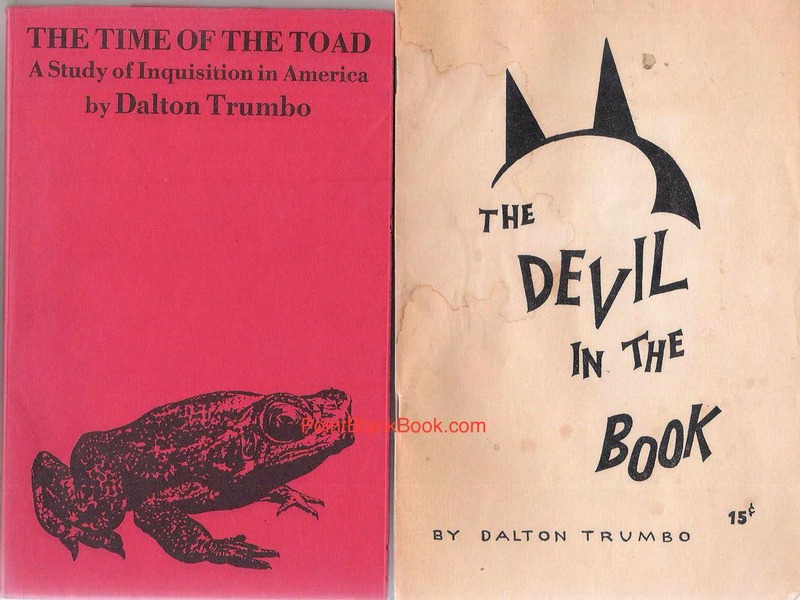 Two of Dalton Trumbo’s pamphlets addressing his experiences as one of The Hollywood Ten. A long sought title by yours truly finally discovered at The Strand Bookstore in New York. 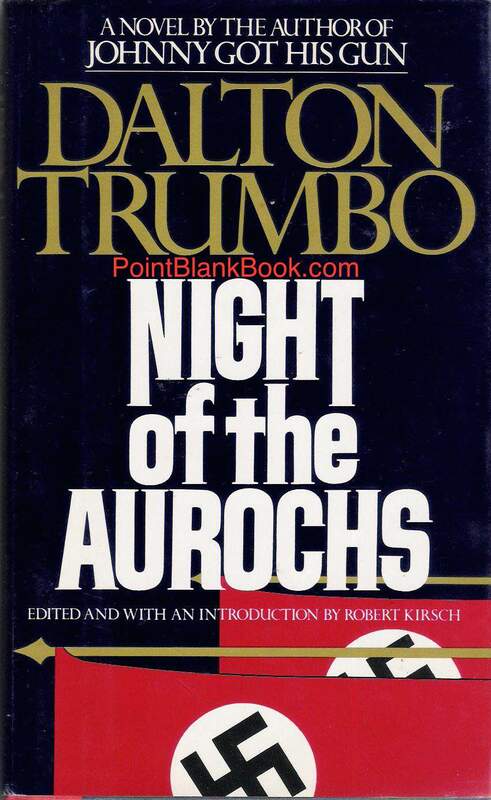 Trumbo’s last work, left unfinished at the time of his death in 1976 but published with its first ten chapters and subsequent notes. A riveting read and powerful companion to JOHNNY GOT HIS GUN. This entry was posted in Uncategorized and tagged Dalton Trumbo, Johnny Got His Gun, Lee Marvin, Lee Marvin Point Blank, Metallica, Mike Miller by Dwayne Epstein. Bookmark the permalink.